Dr. V.A. 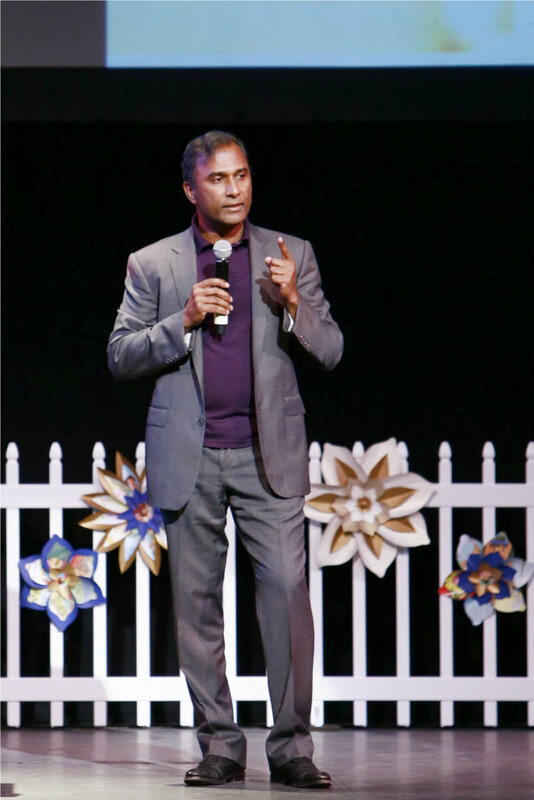 Shiva Ayyadurai, Ph.D., Inventor of Email & Systems Scientist delivered the keynote speech at Akshaya Patra’s Comedy & Bollywood Dance Fest which was held at Redondo Beach Performing Center at 6:00 p.m. on October 4, 2015. The special guest at the event was Fran Drescher, actress, model, activist and Akshaya Patra supporter. Also performing at the event will be comedians Rajiv Satyal, Maz Jobrani, and Paul Varghese. The event kicked off Akshaya Patra’s Feeding Dreamers campaign. Dr. V.A. Shiva Ayyadurai delivering the keynote address at Akshaya Patra USA’s “Comedy and Bollywood Dance Fest”. Seen at Akshaya Patra USA’s “Comedy and Bollywood Dance Fest” are (l-r): Rajiv Satyal, Dr. Shiva Ayyadurai, Fran Drescher, Vandana Tilak, Neel Grover and his wife.